Larry was a devoted member of our professional family, a mentor to many and a valuable colleague to all. Always willing to take time to help in any situation, Larry was generous with his time, knowledge and extensive experience. Always quick with a story, Larry seemed to be perpetually smiling, and when he spoke with you, you got the feeling you were the most important person in the room to him. Honest, dedicated, kind, funny; all words we used to describe Larry, a sort of renaissance man who could converse on any topic, from the best place in Louisiana to find gumbo to the state of his backhand on the tennis court. 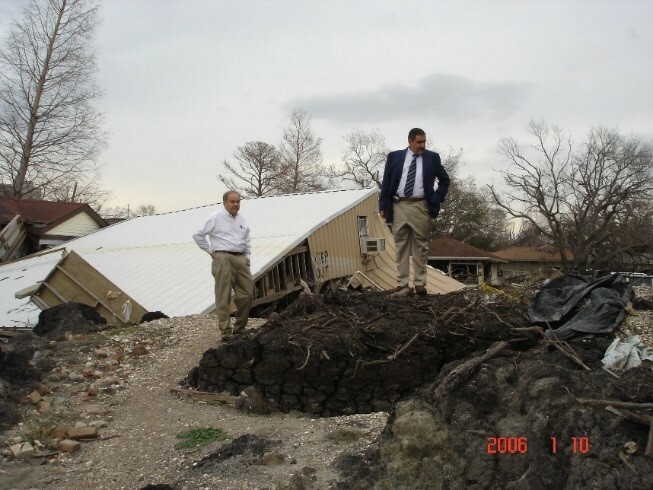 Larry’s reputation throughout our company and the Southern Louisiana community was above reproach. Larry received his civil engineering degree from Tulane University in 1969 and started his career with the U.S. Army Corps of engineers. He went on to receive his master’s degree in civil engineering from MIT in 1974 and his doctorate in civil engineering from Tulane in 1980. Always willing to give back to the next generation, Larry served as an Adjunct Professor in civil engineering at Tulane throughout the 1980’s. He was the President of Gore Engineering through most of his career, from 1980 until the firm merged with Ardaman & Associates, Inc. in 2007, after which he served Ardaman in our New Orleans office as a Senior Vice President and Senior Consultant. It is no surprise that Larry was a devoted family man, married to his wife Donna for 47 years, and a proud father of his daughter Erin and son Larry, Jr, and of his granddaughter Ava Louise. Larry will be sorely missed; certainly for his extensive knowledge and invaluable contribution to Ardaman’s success, but also for his easy demeanor and generous spirit. Goodbye dear friend . . . we will remember you always.